He's accused of lying about other details related to the Russian meddling probe. 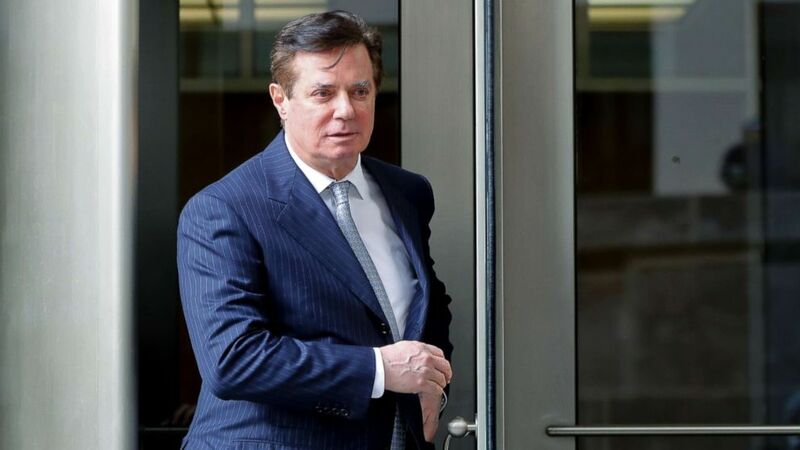 Special counsel Robert Mueller has accused Paul Manafort, the former Trump campaign chairman, of lying about his contacts with administration officials in 2018 and at least four other details related to his probe of Russian election meddling during the 2016 campaign. In a heavily redacted court document filed Friday afternoon, Mueller and his team of prosecutors accused Manafort of lying about his interactions with Konstantin Kilimnik, a longtime business associate whom the special counsel has identified as a former Russian intelligence officer. Manafort, according to the special counsel's team also lied about money laundering, a wire-transfer to a firm that was working for him, "information pertinent to another department of Justice investigation," and his contact with administration officials. Kilimnik was indicted alongside Manafort in June. He has not submitted a plea. Early last week Manafort’s cooperation agreement fell apart when prosecutors in the Washington D.C. case accused Manafort of breaching his plea agreement by lying during interviews after agreeing to “broad” cooperation with the special counsel’s probe. The special counsel’s office asked the judge to proceed with scheduling a sentencing date. In court last week, U.S. Judge Amy Berman Jackson in Washington, D.C. gave prosecutors until Friday to submit a filing detailing the nature of Manafort’s alleged lies. Manafort’s defense team, which has disputed accusations that he lied to prosecutors, will have until Wednesday to tell the judge how they plan to respond to the filing. In August, a Virginia jury found Manafort guilty on eight of 18 federal counts of tax and bank-fraud charged against him. The judge declared a mistrial on the remaining ten counts, though Manafort later admitted guilt to these counts as part of a plea agreement in the DC case. In September, Manafort’s attorneys struck the plea agreement with the special counsel’s office in a Washington D.C. court to avoid a second trial there for crimes similar but separate to those leveled in Virginia. 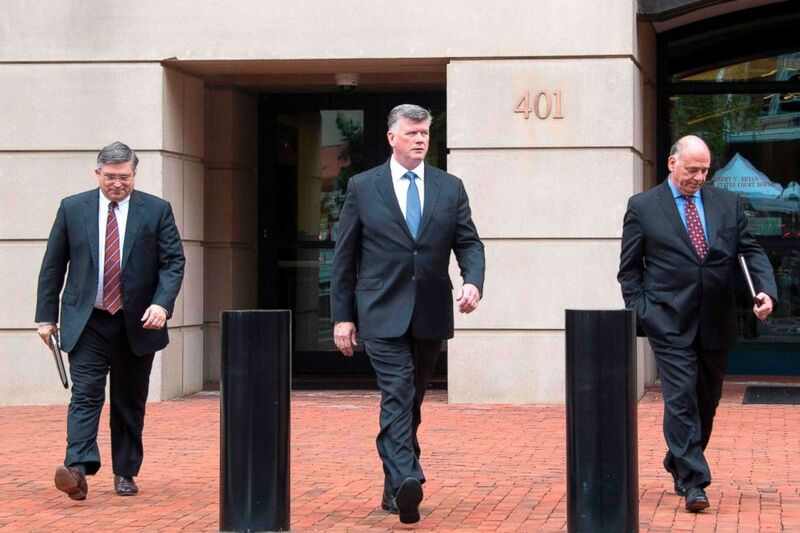 (Jim Watson/AFP/Getty Images, FILE) The defense attorneys for former Trump campaign manager Paul Manafort, including lead attorney Kevin Downing, center, Richard Westling and Thomas Zehnle, depart the US Courthouse in Alexandria, Va., Aug. 21, 2018, as jury deliberations continue for a fourth day in the bank and tax fraud case against Manafort. As ABC News confirmed, Manafort’s legal team had been sharing information about his interactions with the special counsel with the president’s legal team – a story that was first reported by the New York Times. This reignited speculation Manafort could be angling for a pardon from President Trump. The judge in Manafort’s DC case set a tentative sentencing date last Friday for Manafort on March 5, 2019. This will come just under a month after Manafort is scheduled to be sentenced separately for tax and bank-fraud crimes in his Virginia case. 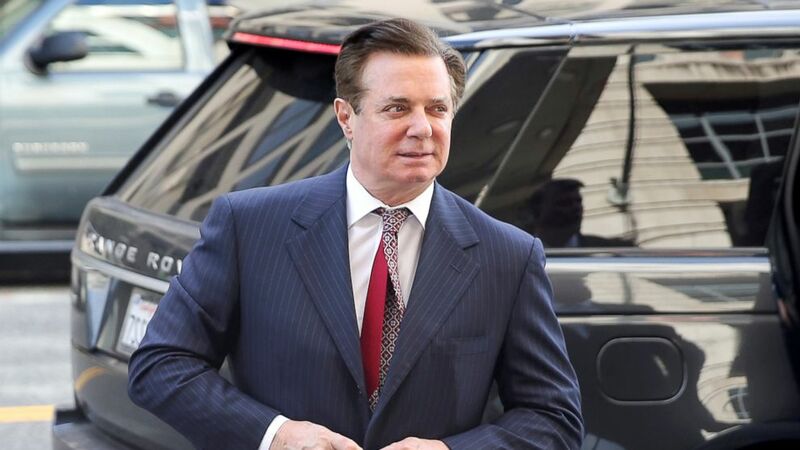 He maintained those overseas relationships both before and during his stint as then-candidate Trump's campaign chairman during the 2016 contest. (Pablo Martinez Monsivais/AP, FILE) Paul Manafort, President Donald Trump's former campaign chairman, leaves the federal courthouse in Washington D.C., Feb. 14, 2018. Manafort joined Trump's campaign in March 2016 and was elevated to the campaign adviser position in May of the same year. He departed the Trump campaign in August 2016 after reports appeared in the New York Times and Associated Press that suggested he had engaged in illegal lobbying activities in Ukraine. Manafort last appeared in court for a scheduling conference in his Virginia case in mid-October, using a wheelchair to enter the courtroom. He's waived his right to appear at hearings held since then. Manafort has been behind bars since the judge in his DC case revoked his bail in June, and is currently being held in solitary confinement.